I don’t know about you guys, but this past weekend felt like a summer weekend to me — we had our first warm night out on the porch with friends and sipped on some warm weather beverages. With Memorial Day coming up this weekend, I partnered with Seagram’s Escapes to put together a little DIY to get you in the summer entertaining spirit! 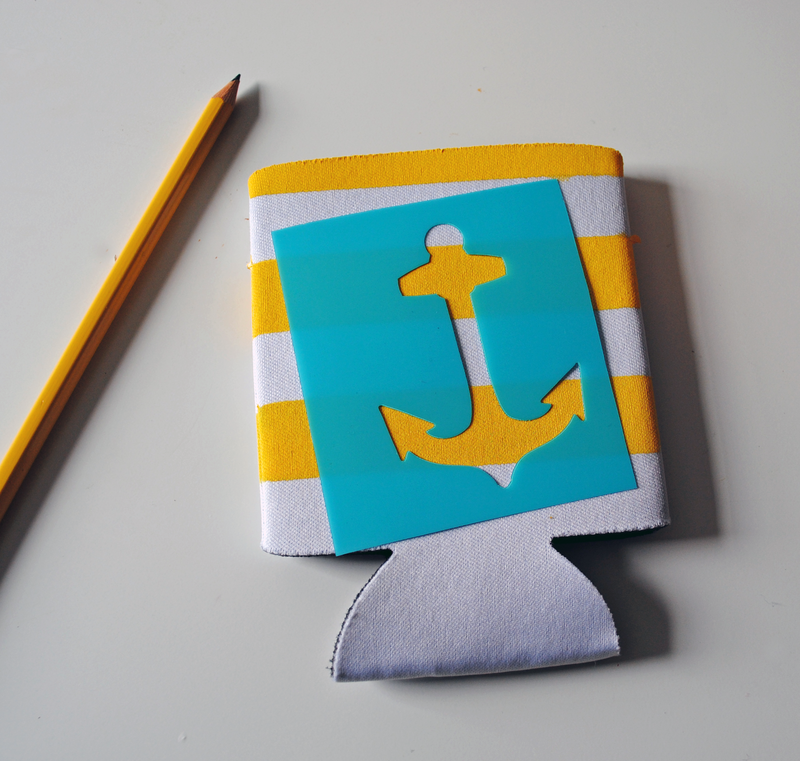 I am a fan of all things nautical, and decided to customize some koozies to keep my cocktails cool as the temperature rises. 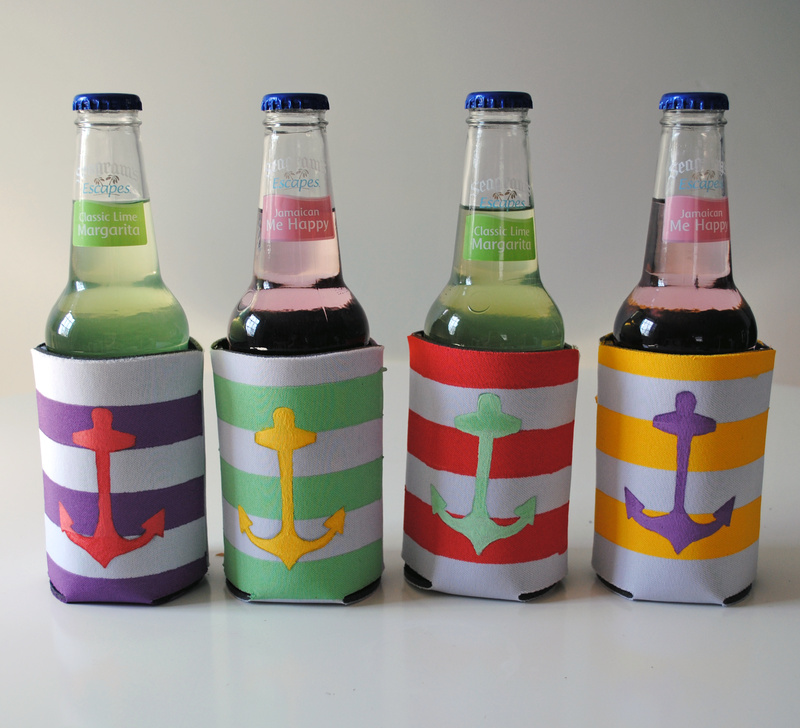 Read on for instructions to create your own nautical drink koozies. 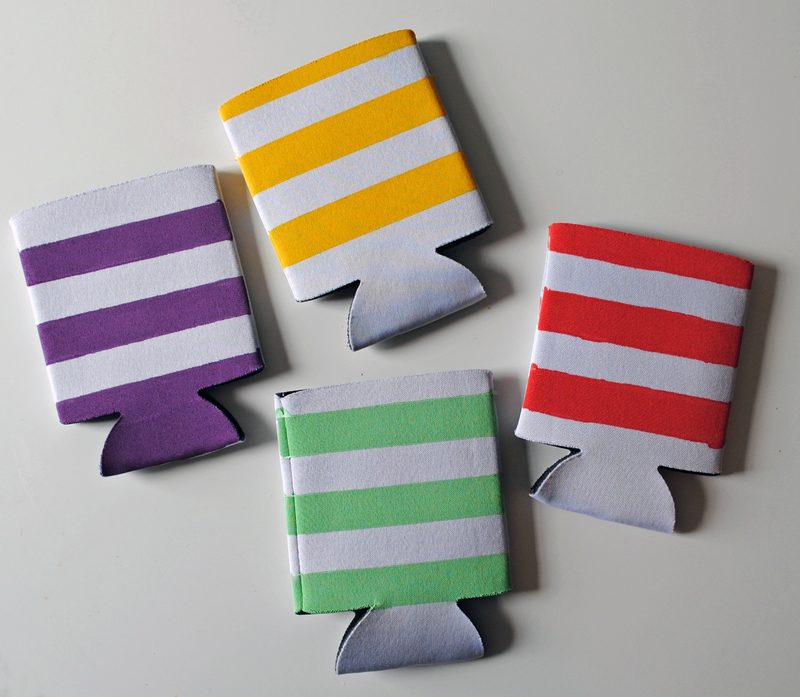 To start, use painters tape to mark off the stripes at consistent intervals on plain white drink koozies (I use the width of the tape to mark off where the next one starts to space them evenly). Once the stripes are taped off, paint the space between the taped lines and let it dry completely before removing the tape. Next, use a pencil to mark off your design — I used a stencil to draw an anchor for a nautical motif — and paint inside the traced shape. 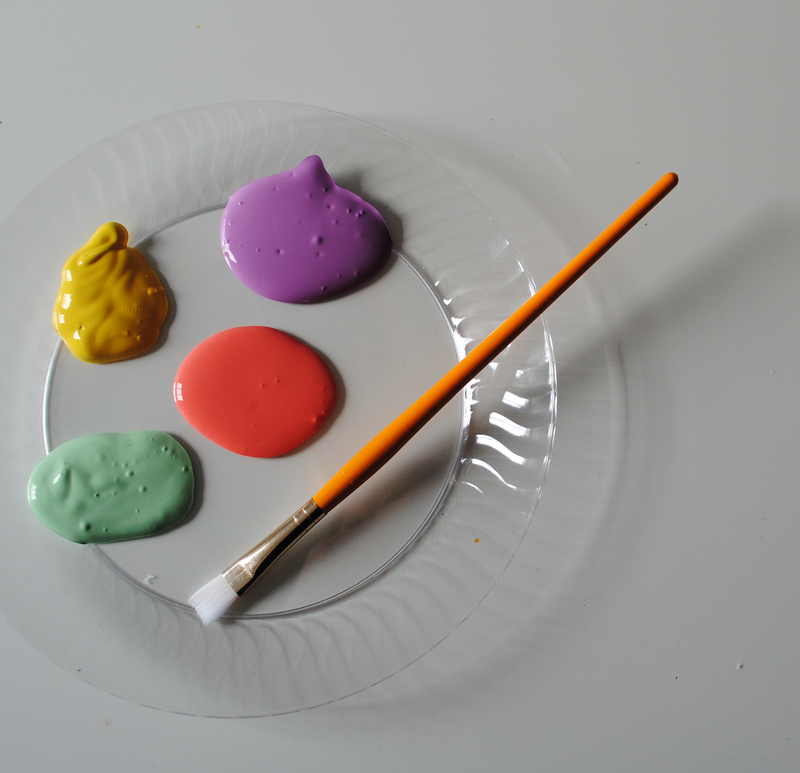 You may need to use two coats of paint when using a lighter color over a dark stripe. 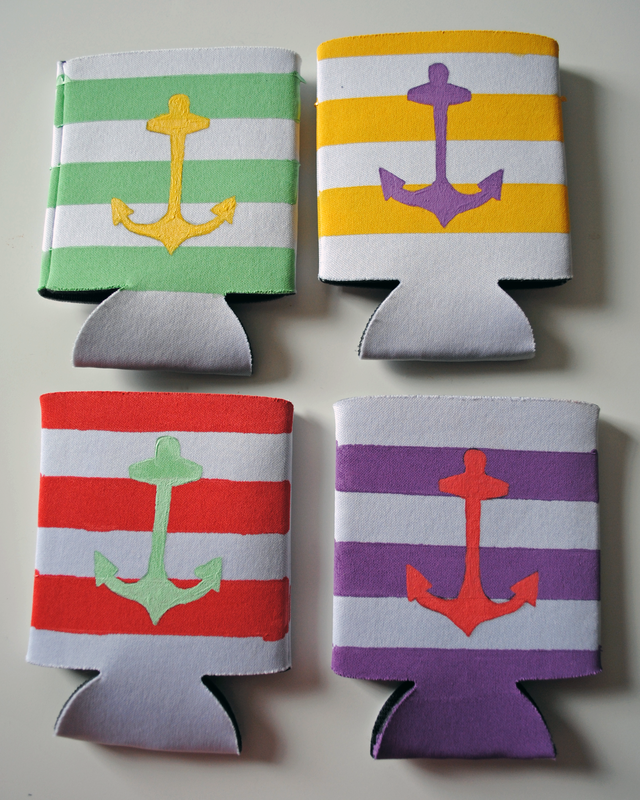 Be sure to let the koozies dry completely before using! If you’re interested in getting into the summer entertaining spirit, head over to the Seagram’s Escapes Facebook page and enter to win a Seagram’s Escapes party kit! This post was sponsored by Seagram’s Escapes; all opinions and DIY ideas are my own. 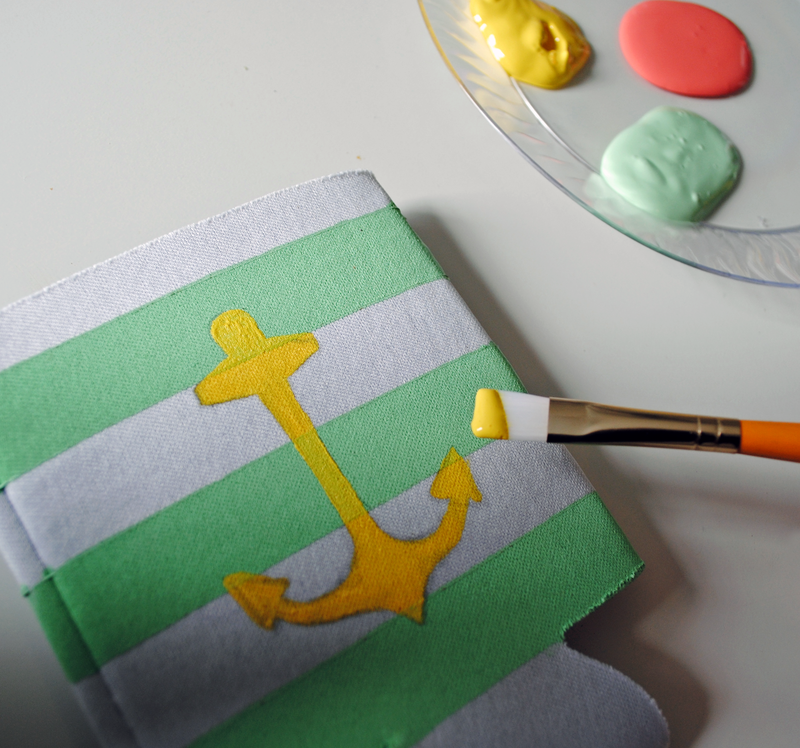 4 Responses to "A Nautical Summer DIY." I love these! So so cute well done! Such a fun idea! Love the colors that you chose.